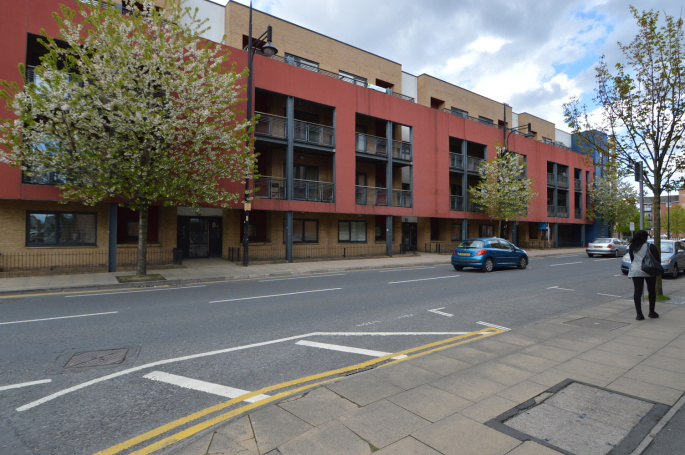 A luxury two bedroom apartment situated on the second floor in the heart of the Hulme area. Open plan lounge with large balcony, kitchen with integrated appliances including dishwasher and fridge/freezer, two double bedrooms and main bathroom. Allocated secure parking space to rear. Ideally located for City Centre, Salford Quays, Universities and M60/M56 motorways. Local amenities include ASDA Hulme and Hulme Park. 1 Ceiling light point. Adequate power points. Fuse box. Dimplex electric heater. Intercom system. Megaflow Boiler. Greenwood Extractor unit. 1 Ceiling light point. Adequate power points. Double glazed window unit to rear elevation. Dimplex Electric heater. Oak laminate floor. Heated towel rail. White 3 piece suite comprising of, Handwash basin with mixer tap, w/c, Bath with panel and overhead Aqualisa electric shower. Dimplex Electric heater. 4 Ceiling spotlights. Adequate power points. 2 Dimplex Electric heaters. TV Areal point. BT Phone line. 3 Ceiling light points. Double glazed window unit to front elevation. Double glazed door unit leading to full length balcony. Selection of Beech base and wall units. Grey marble effect melamine worktop. Single drain sink. Integrated Indesit oven. Indesit electric hob. Indesit extractor fan. Indesit built in fridge freezer. Ariston built in dishwasher. Beige splashback tiles. 4 Ceiling spotlights.